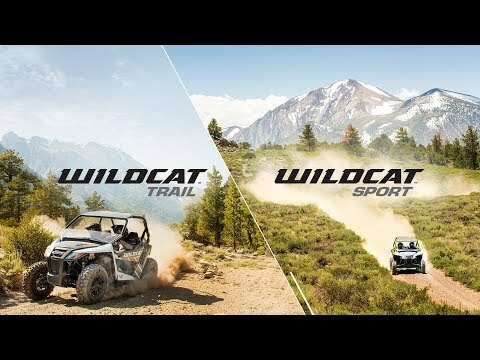 SUSPENSION & HANDLING: FOX® Shock Double A-Arm suspension, TEAM® Rapid Response clutch, electronic power steering, electronic 2/4WD with front differential lock. 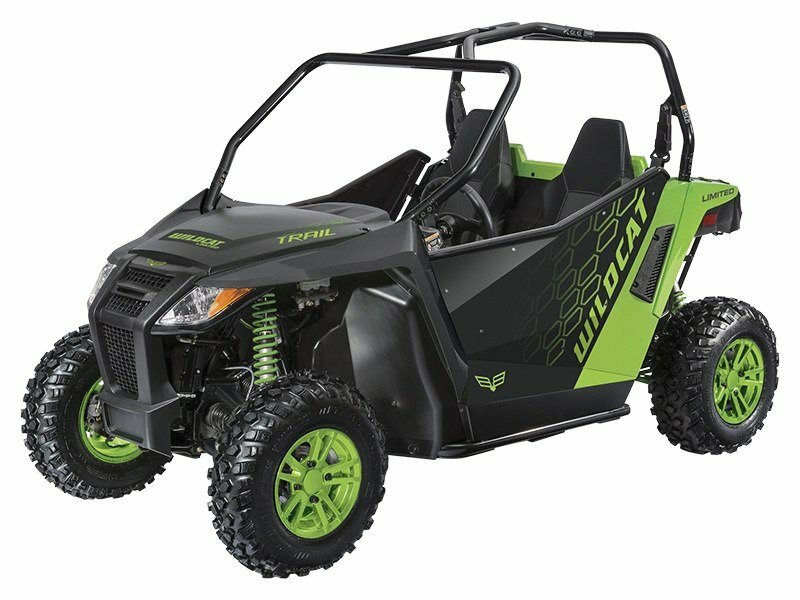 POWER: Wildcat Trail’s 700 cc dual-cylinder, closed-loop EFI engine gives you fuel-efficient power to keep you riding all day long. DRIVER EXPERIENCE: Infinitely adjustable tilt steering, aluminum wheels, 26 inch aggressive tires. HAULING & STORAGE: Use Wildcat Trail’s 2 inch receiver, 300 lb. capacity bed with tie-down hooks and 1,500 lb. towing capacity for easy, reliable hauling.